PELHAM MANOR, New York (WABC) -- Police in Westchester County are on the lookout for a one-of-a-kind classic car that was stolen from a private garage. A green 1970 Plymouth "Mod Top" Barracuda that's valued at $1.4 million was taken from a Pelham Manor garage owned by Manhattan nightclub owner Steven Juliano. The theft happened shortly after midnight last Tuesday according to police. Juliano was in the process of getting the Barracuda ready for a cross-country shipment to Los Angeles when the incident occurred. 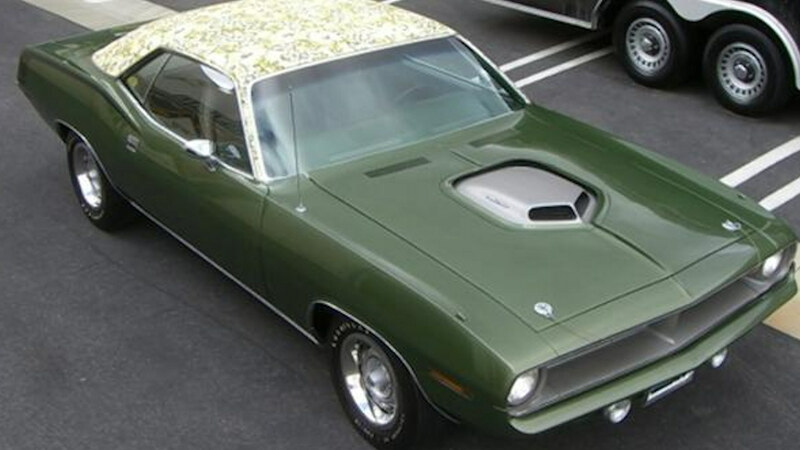 The stolen classic green muscle car is distinct for it's floral print vinyl top. Anyone with information on the theft can call the Pelham Manor Police Department at 914-738-1000.